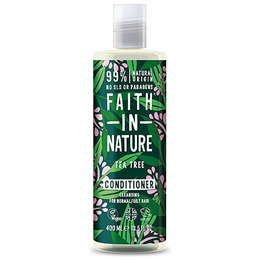 Invigorating from the moment you open the cap, natural tea tree oil is used for its wonderful antiseptic qualities, and is blended with citrus oils to really get you going. 100% natural fragrance with essential oils. Free from parabens and SLS. 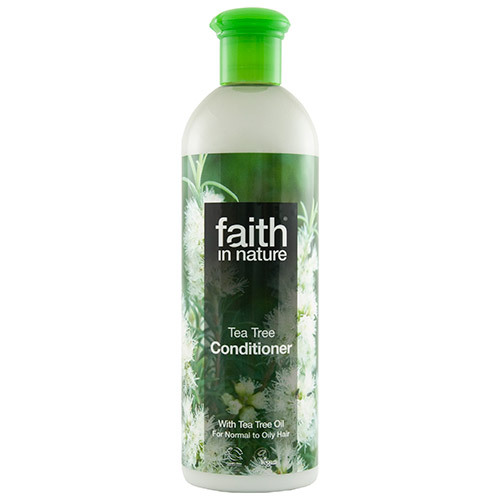 Below are reviews of Faith in Nature Tea Tree Conditioner - 400ml by bodykind customers. If you have tried this product we'd love to hear what you think so please leave a review. Smells lovely and fresh, leaves hair soft and easy to comb. I will buy again.